Honestly, I’m not even sure if it falls in the savory or sweet column. Tropical fruit always calls to me around this time of year. It’s bleak and gray and precipitating outside. Walk into the grocery store and there are faux tiki carts in the produce section. What am I supposed to do when they taunt me, filled with pineapple, mango, banana. Plantains often end up there. Ugli fruit and other citrus. I hang around the cart wishing for a daiquiri and a hot sandy beach. Buying a pineapple can be baffling. Look for a pineapple with a bit of golden yellow starting to color the outer bark-like shell. Tug on a leaf: a fully ripe pineapple will give up the leaf easily. The green oblong papaya may have a slight orangey blush. But a ripe papaya will give slightly when gently pressed. I look for a tropical, heady scent at the stem end. Plan for this project; most tropical fruit in the grocery store needs time to ripen. Leave the pineapple and papaya on the counter in a bowl or basket. My fruit took four days to ripen. After that, it’s a quick jump to salsa. I opted to cook the sauce with large pieces of lime rind and jalapeno and then remove these not-so-pretty muddy green things before filling the jar with bright sunshine yellow and coral fruit. As with all preserving projects, take time with the prep. Dice the fruit into equally sized small pieces, no bigger than 1/2-inch. Pineapple and papaya have enzymatic qualities that make them useful for tenderizing meats. Try slathering this salsa on tri-tip or hangar steak for no more than 20 minutes. Any longer and the meat will lose all structural integrity. Wipe away the salsa (it will catch fire) and grill or broil the meat to desired doneness. 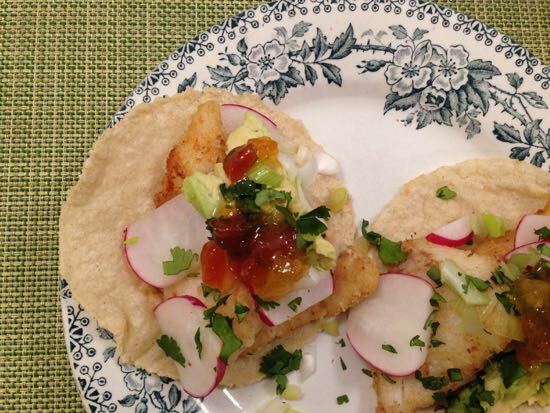 I served this as a condiment atop fish tacos served on homemade corn tortillas. It was a DIY party on a plate. I think it will be equally glorious on yogurt or served with quark or fromage blanc or fresh goat cheese. Yeah. Pretty much everything. 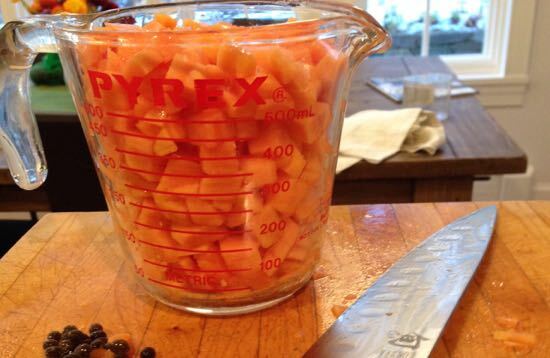 In a ceramic or glass bowl, stir together the pineapple, papaya, sugar and two vinegars. Cover the bowl and refrigerate eight hours or overnight. Pour the fruit mixture into a 5 quart heavy bottomed pot (like a Le Creuset). Add the jalapeño, lime zest, orange juice and cumin seed. Bring the mixture to a strong boil and cook, stirring frequently, until the temperature reaches 220°F, about 40 minutes. Stir in the tequila, bring back to a boil, then remove from the heat. Stir well. If any foam remains, add a tiny pinch of butter (less than 1/2 teaspoon), stir well and clarify the salsa. Fill the jars, leaving 1/2-inch headspace,. Clean the rims, place the flat lid and finger tighten the ring. Process for 10 minutes in a boiling water bath. The salsa will be shelf stable for one year. Gorgeous! This sounds totally delicious. Definitely need to give this one a try. Looks great. What size pan to us use to can small amounts? 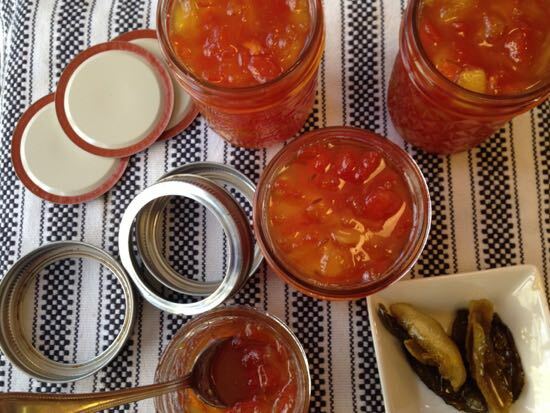 Acidity-wise, are pineapple and papaya safe to can as jam? Like, could I cut back on the vinegar (eliminate?) and go more jam less salsa? i was going to ask the opposite of Michelle- could it be safely done all savory? I suppose if I didn’t can it there’d be no proble in trying. Sounds wonderful, a perfect winter project! You could reduce the sugar by one-half but it will not make the same gel, it will be syrup-y. They are safe to can as jam. I think you could swap out the juice of one lemon for the vinegar, but I haven’t tried it. 3 CUPS of sugar??? I don’t use that much white sweetener in a whole year! The fruit already contains natural sweetener. Why soooooo much? 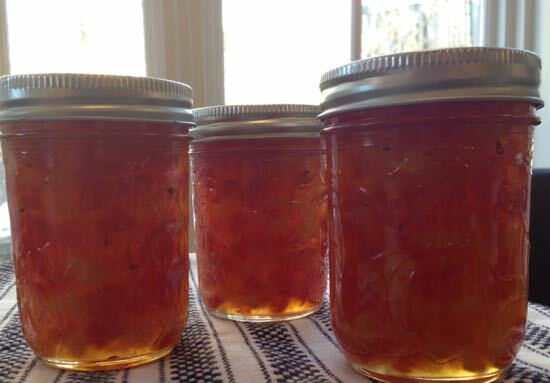 The sugar and vinegar make a syrup in which the fruit pieces are suspended. Of course you don’t eat all the sugar/salsa at once! LOL!